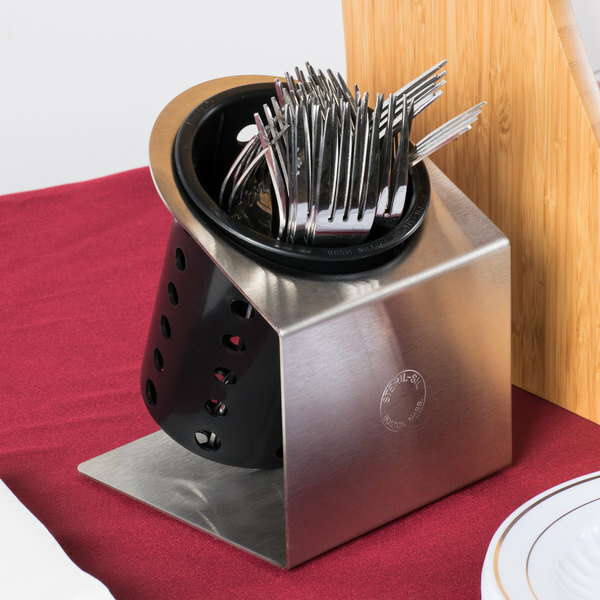 Maximize space and convenience at your lunch counter, coffee shop, or buffet line with the Steril-Sil HKS-1 1-hole cantilever flatware cylinder holder. 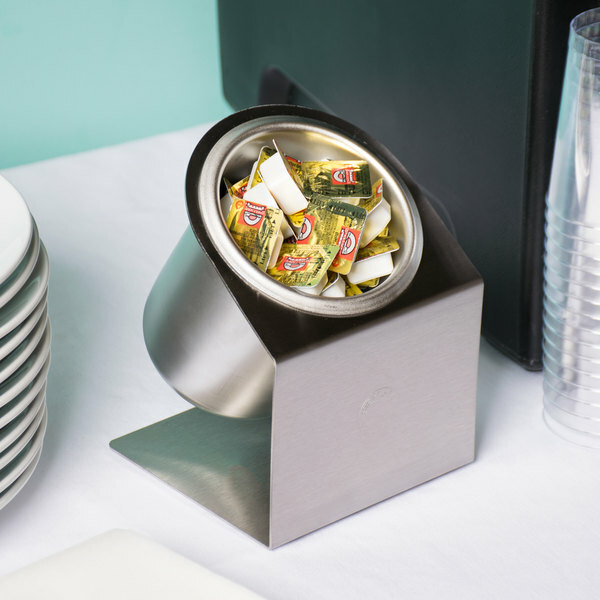 This versatile dispenser provides a multi-purpose and versatile space for your most popular dining essentials, giving your patrons quick and easy access to a wide variety of items such as ketchup, mustard, straws, creamers, sugar, and silverware! 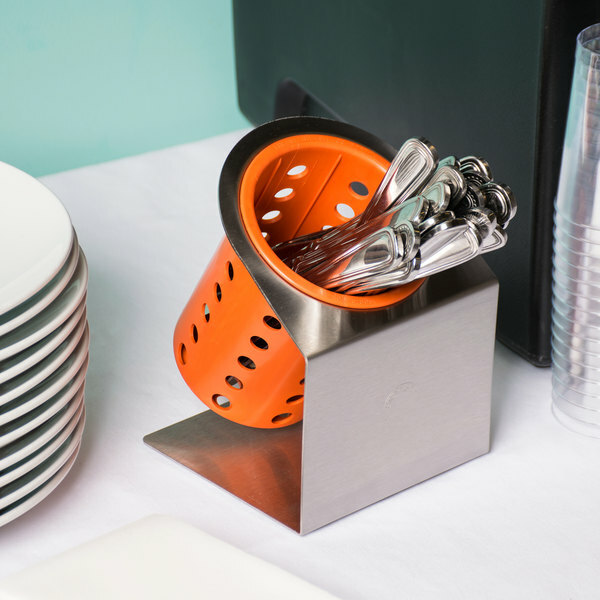 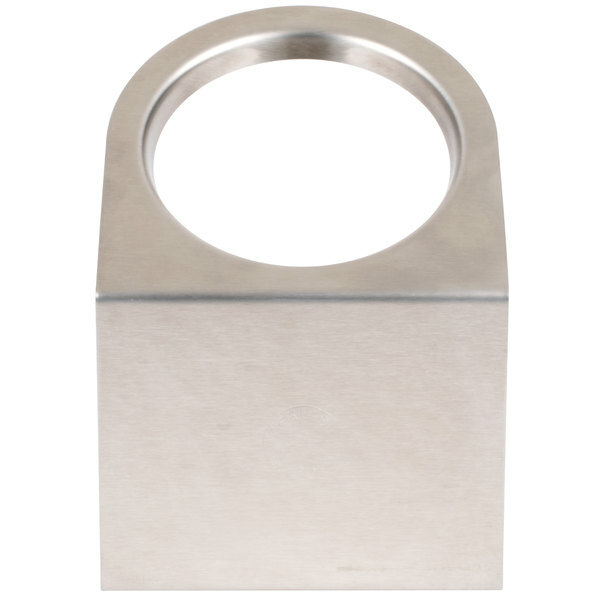 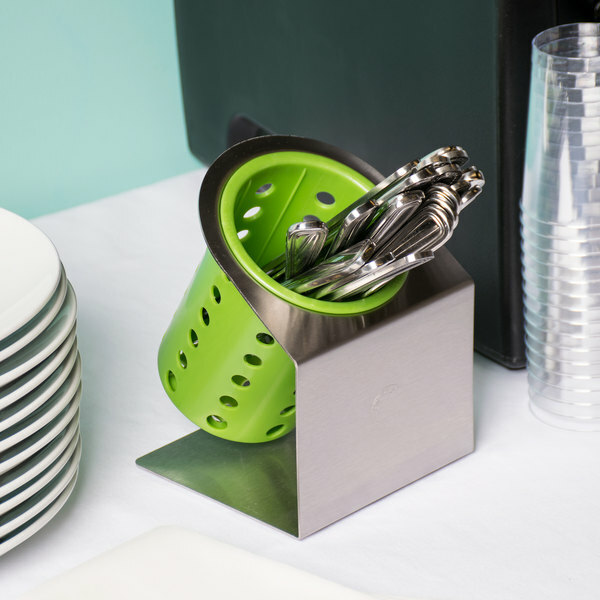 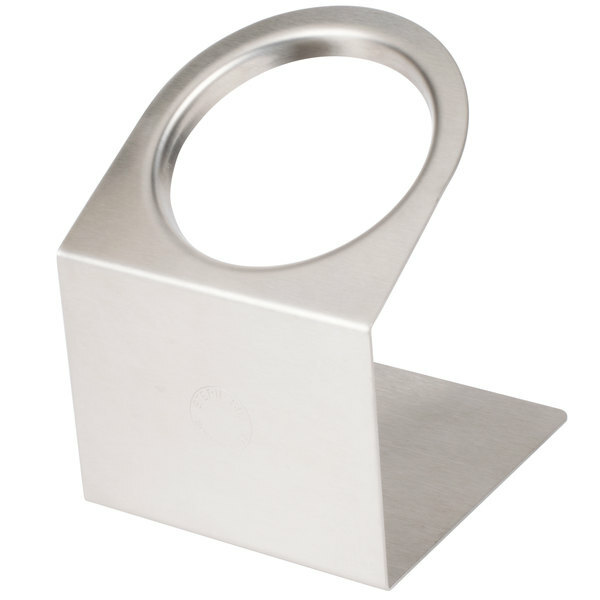 A unique cantilever design boasts a distinct, contemporary look and features a single 4" round cut-out that can accommodate both perforated silverware cylinders or 30 oz. 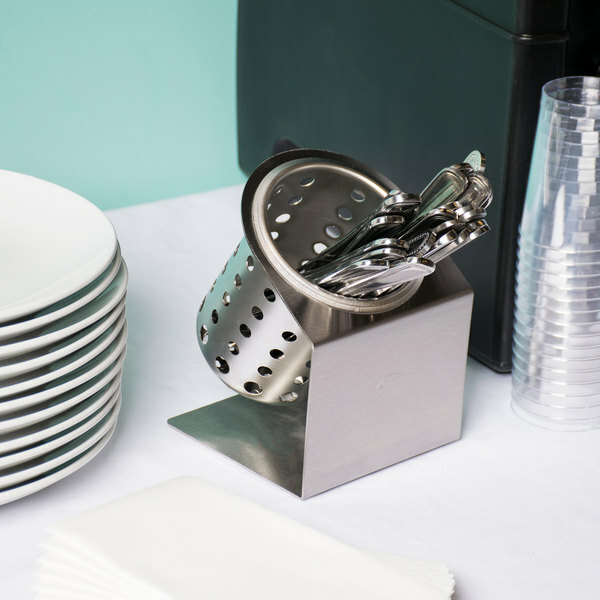 condiment containers (sold separately). 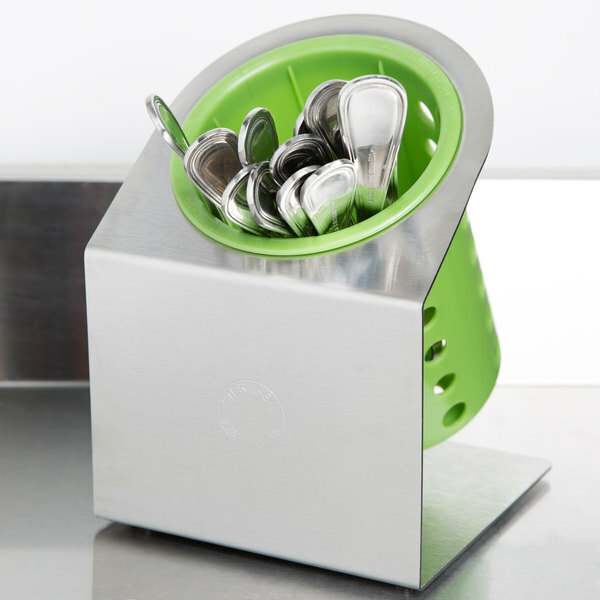 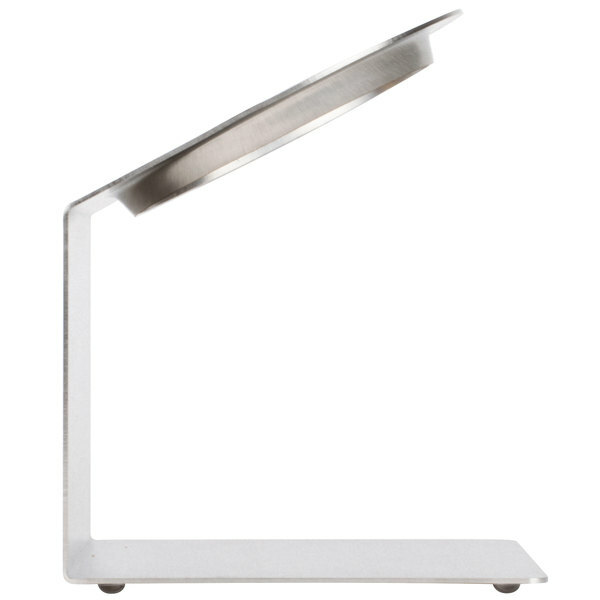 Plus, its compact, space-saving footprint is perfect for any size countertop. 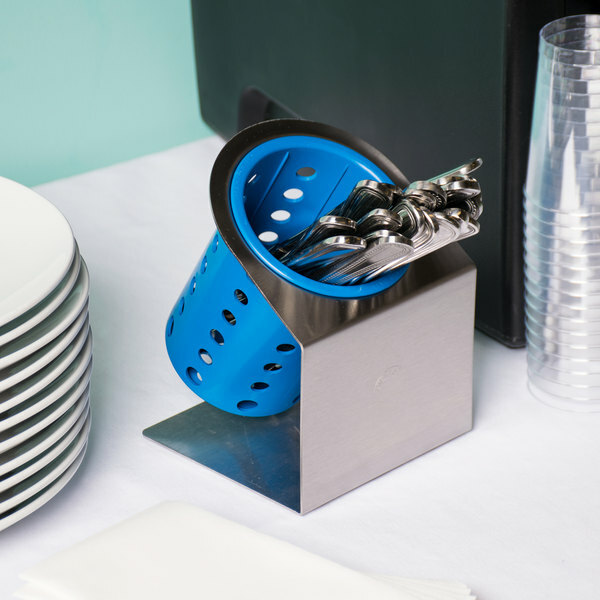 Lightweight, yet durable stainless steel construction ensures long-lasting use, in addition to making the dispenser easy to clean. 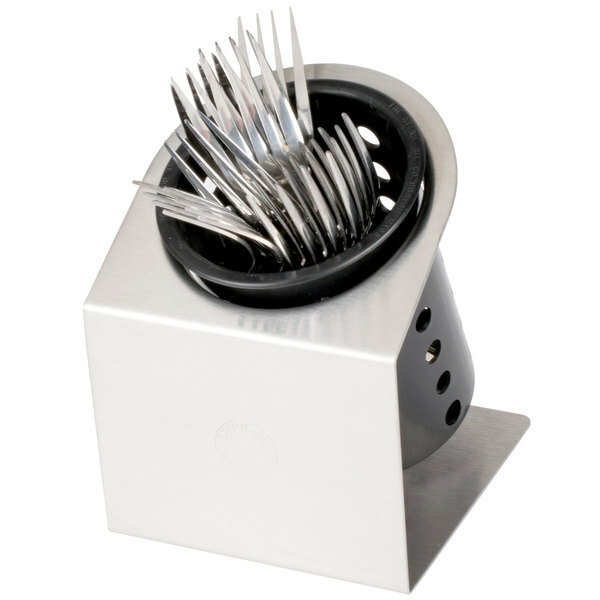 The sturdy and solid base is paired with a flat front that serves as an excellent space for labeling or branding. 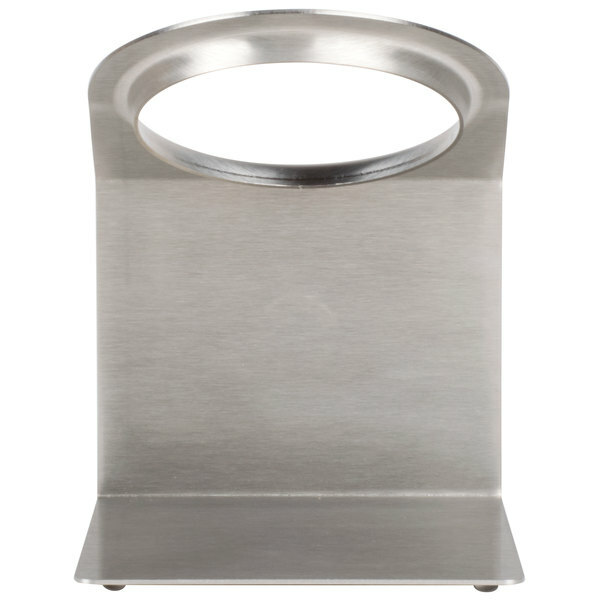 Plus, non-marking feet help keep the dispenser from sliding atop its surface, while also guarding against scuff marks and scratches.